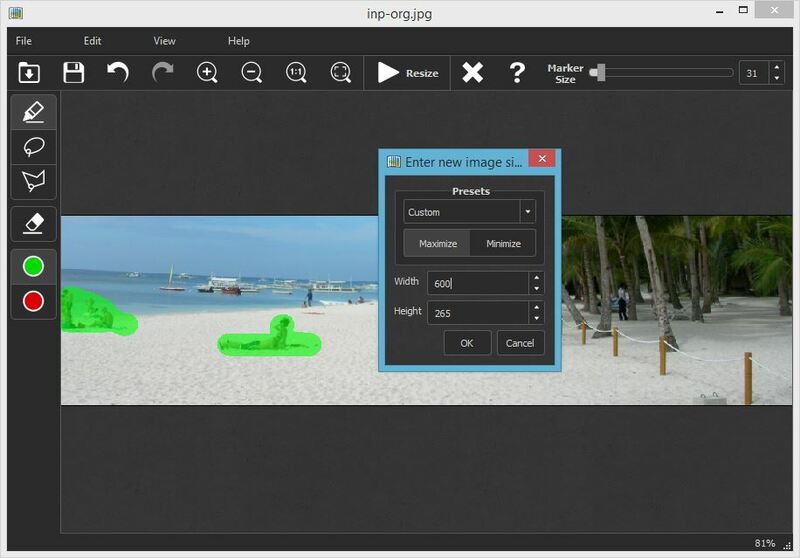 Select the green marker tool from the toolbar and mark objects or persons you don’t want to resize. Adjust the size of the marker for better accuracy or when you want to mark large areas quickly. 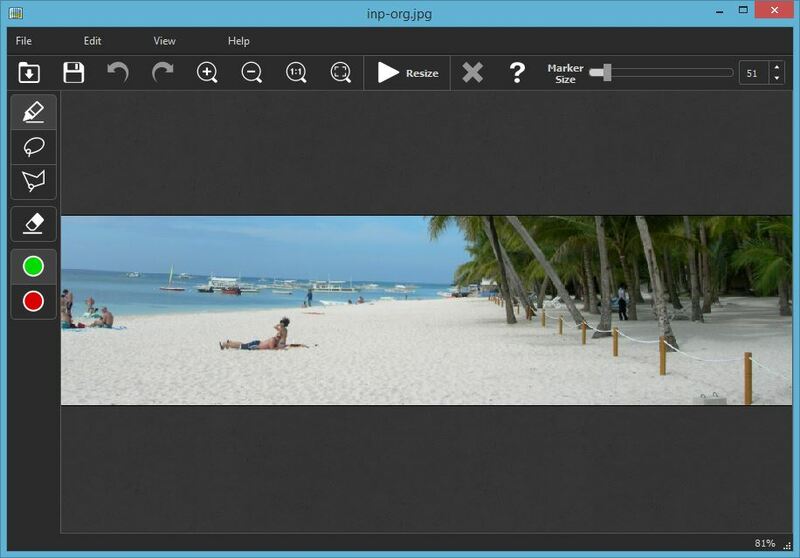 Click the Start button on the toolbar and specify the new size of the photo. iResizer will adjust the size of the picture by removing unnecessary spacing between objects but leaving the marked ones intact. Save the final image and enjoy! 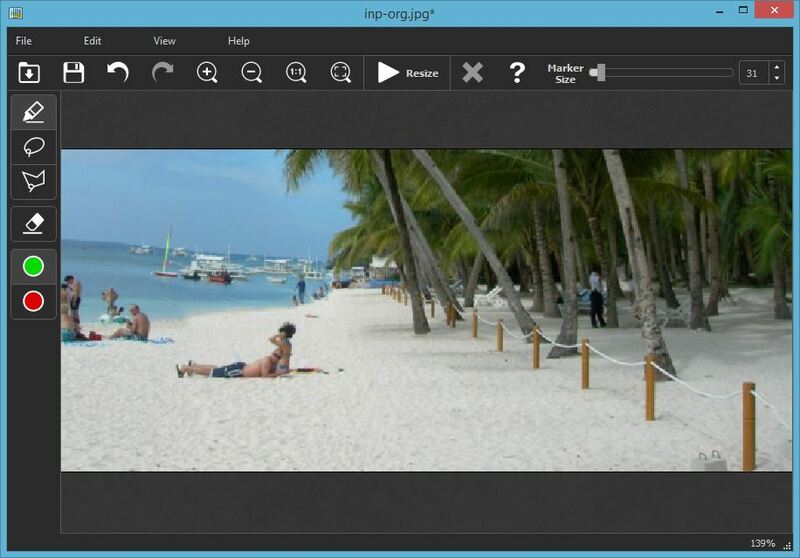 Note that the same way you can remove unwanted objects from the scene or resize the photo to a different aspect ratio.